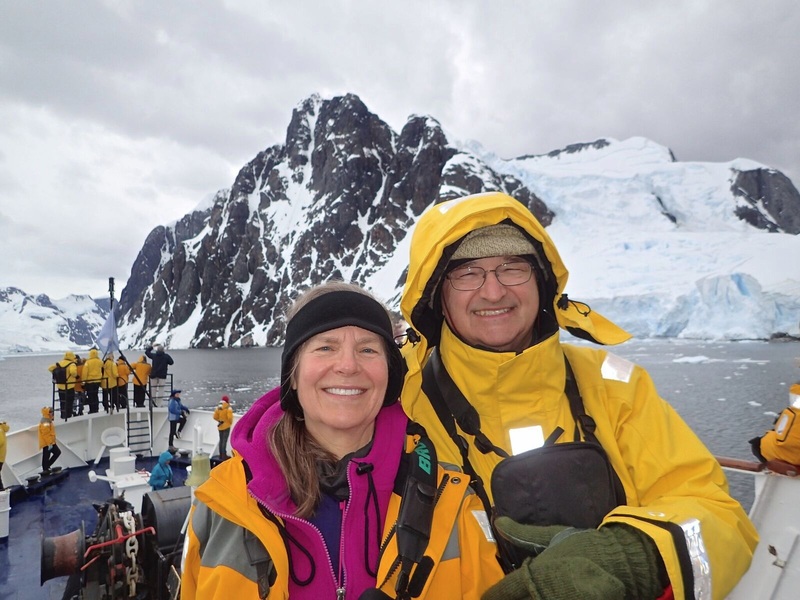 Our expedition leader’s objective on any Antarctic trip is to make sure the voyagers have the “Trip of a Lifetime”. Mission accomplished tenfold and in spades during our Falkland Islands, South Georgia Islands, and Antarctic Experience in our three weeks travelling this past winter (summer in the Southern Hemisphere)! In our thoughts for several years, then seriously planned for a year, we had the experience of a lifetime and encourage all who can to do the same! It was a travel adventure expedition and a luxury cruise for us! Superlatives abound as we reflect on our excursion – fabulous, fantastic, magnificent, remarkable, marvelous, breathtakingly beautiful, highly educational and enlightening, full of E-Ticket Ride excitement and fun, and an absolute pinnacle of travel experiences! 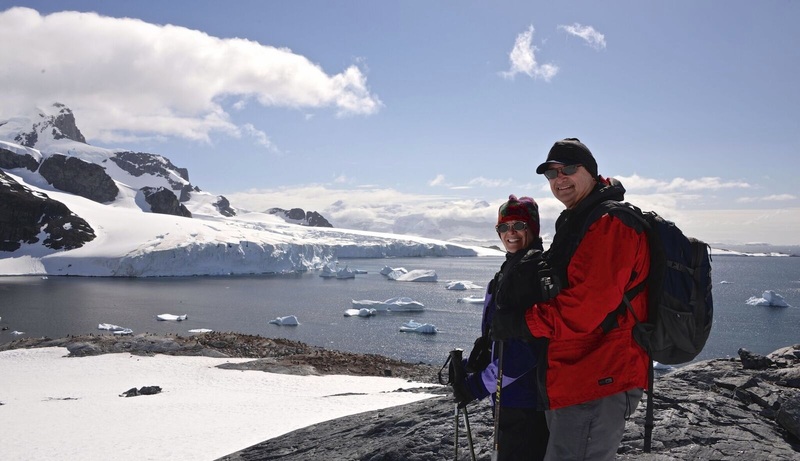 Because of departure dates we chose Quark Expeditions – one of the leaders in Polar Adventures and booked through REI. 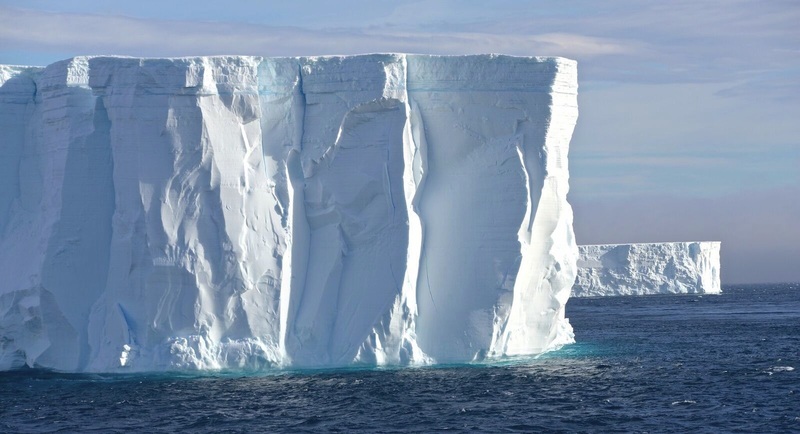 We chose to go sooner rather than later because we heard there may be more and more restrictions on how one can experience Antarctica due to environmental impact concerns. The gateway for our expedition was Ushuaia, a colorful port city on the southern tip of Argentina. We sailed down the historic Beagle Channel on embarkation day and headed for the Falkland Islands (Islas Malvinas to the Argentines) – home to myriad bird life. We had Zodiac excursions and daily landings on two main islands and explored the British outpost town of Port Stanley. Wildlife flourishes here and we walked among Magellanic, Gentoo and Rockhopper penguins and visited a colony of nesting Black-browed Albatross, building mud-bowl nests, sitting on eggs or feeding young chicks! Sailing south we entered Antarctic waters by crossing the invisible biological boundary called the Antarctic Convergence. Encircling the continent, cold Antarctic waters meet and mix with the warmer waters of the Indian, Pacific and Atlantic Oceans, creating the vast abundance of krill and marine life that attract whales, all manner of fish and seals. And thus began our almost daily sighting of whales – Fin, Orca, Humpback, Minke whales and various seals! 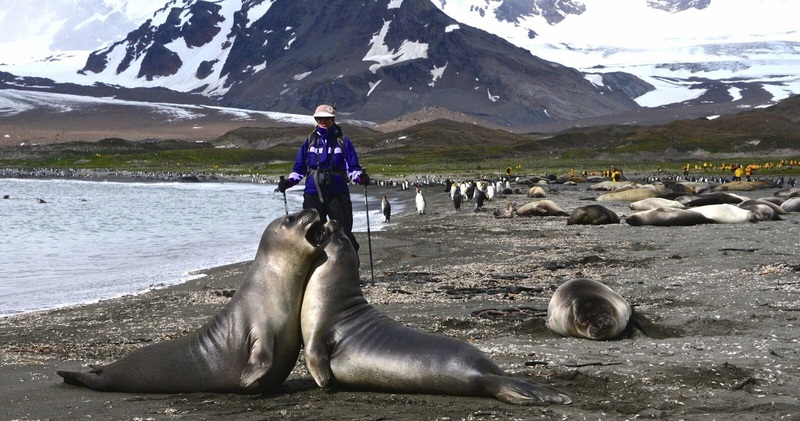 South Georgia Islands are a popular stop for many historic expeditions and were once a haven for hunting whales, elephant seals and fur seals. We visited Sir Ernest Shackleton’s grave at the settlement of Grytviken, which is also home to an historic whaling station, a museum, gift shop, church and a research station of about 20 international scientists and support personnel. For us, the most appealing and important attraction of South Georgia is the abundant wildlife. Living up to its nickname “the Galapagos of the Poles”, South Georgia opened our eyes to a new wonder of wildlife. 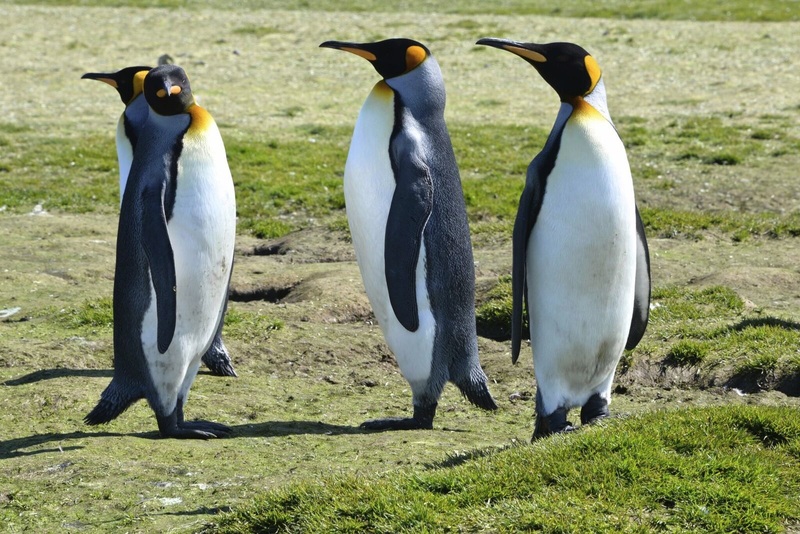 Hundreds of thousands of pairs of King Penguins waddling on the beach and processing up the hillsides to waiting chicks! Beaches full of hundreds of Fur Seals and Southern Elephant Seals! We were sometimes within arms reach, and even closer, to these magnificent creatures – able to examine their beauty, delight at witnessing their behaviors, hearing their incredible choruses, smelling their “unique” environment. Onto the Shetland Islands and the Antarctic Peninsula, we were witness to the white continent as a land of extremes! There is such quiet and jaw dropping beauty – calving glaciers crash into the brilliant blue sea, massive icebergs and ice-shelves, penguins so close and curious they nibble at our boots. Landings on the continent allowed us to trek up glaciers and volcanic mounds, visit research stations, and consort with penguin colonies. Chinstrap, Adelie and Gentoo Penguins are in abundance, along with Weddell, Fur, Crabeater and Leopard Seals, and again whales, whales and more whales! Our days and evenings were filled with educational presentations by our expedition team composed of international scientists. Our team consisted of several marine biologists, an Antarctic historian, an ornithologist, a geologist/glaciologist, a conservationist, a degreed Forestry/Wildlife/Fishery expert, a zoologist/ecologist, a group photographer and an adventure guide. These experts freely shared their knowledge, experiences, photos and enthusiasm. All acted as our guides and Zodiac drivers to ensure safe, fast and experienced landings several times each day. After scrumptious sit-down dinners each evening, we had recaps of our day, a look into the possibilities of the next day, and wildlife presentations of what we were actually experiencing! We didn’t want our trip to end and would do it again in a heartbeat! In fact we are thinking of becoming “Bi-Polar” in planning an Arctic Adventure! We likened our Antarctic Adventure to being in a National Geographic Documentary – but being able to see, smell, hear, and taste in a 360 degree panorama! If you can at all afford it, money and time wise, do not miss the South Georgia Islands. We used REI Adventures https://www.rei.com/adventures to book our trip. 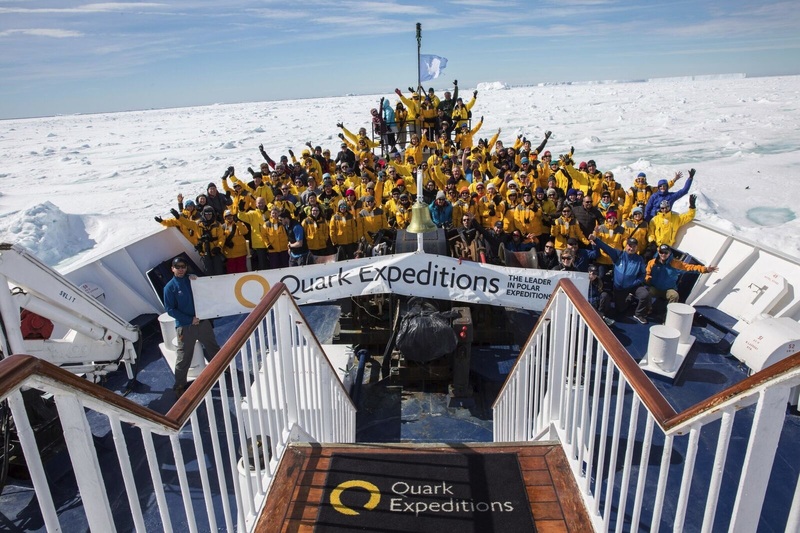 REI contracts with QUARK Expeditions for their polar trip adventures. Sign up for the REI Visa Card and book your Antarctic Adventure with the card and get a 5% refund! It is a big refund on this adventure!